I was convinced this post was lost to the black hole of the data universe, but thankfully the photos were only misplaced and not actually deleted into oblivion! Yay! 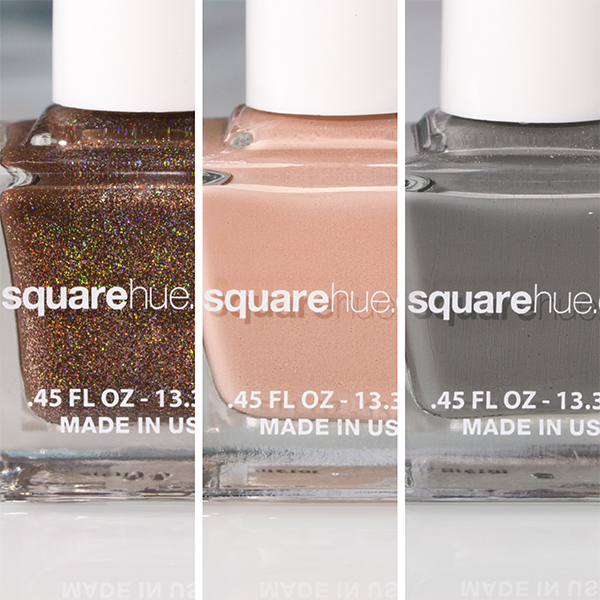 I have quite a few Square Hue posts to catch up on, but I'm particularly excited about the nail art I did with these beauties from the Museum Hop Paris box. Pompidou, oh my heart, are you seeing this magic? 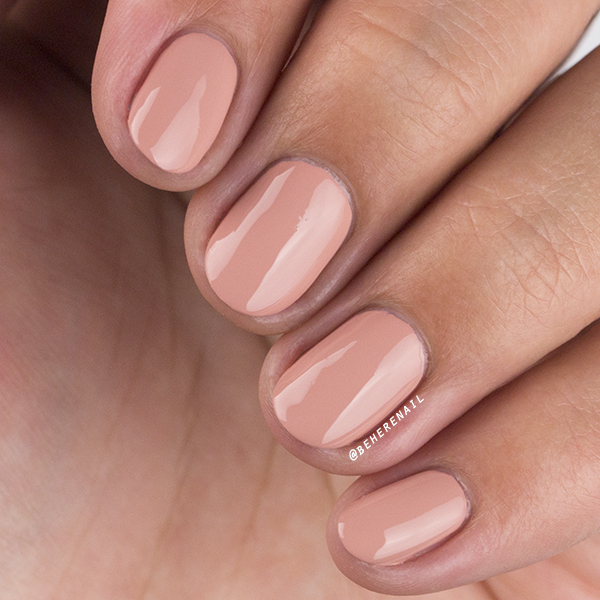 This it just two easy coats with topcoat, and with a great formula as well! 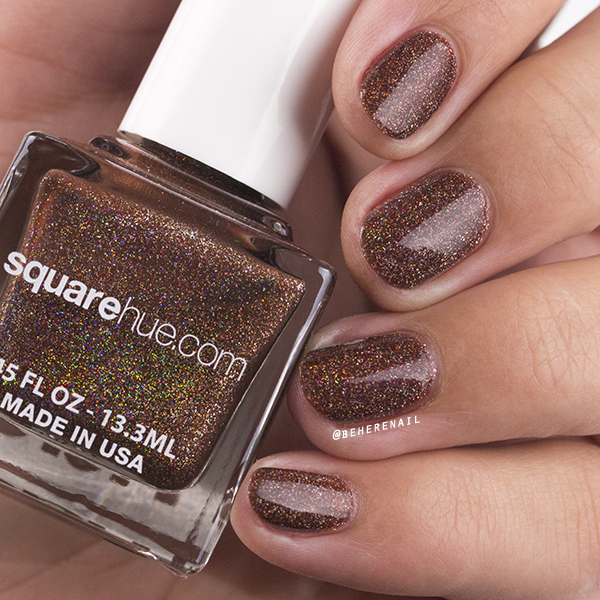 The warm chocolate brown jelly lets those scattered holo flakes shine through. It's totally unique in my collection, and you guys know I love chic browns. 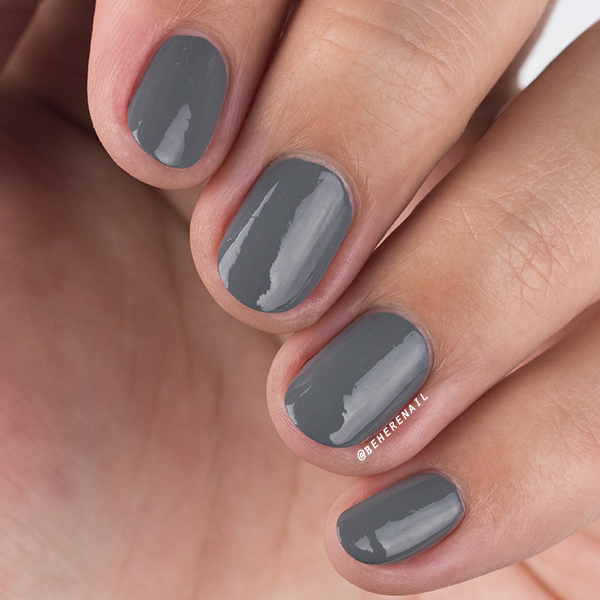 I absolutely adore the color of this stone grey, it's perfect! But, unfortunately I found Louvre, a matte shade, just a bit hard to work with. It wasn't quite self leveling for me and I was left with a finish that while matte, was a bit streaky. I handled it with some topcoat, no problem, and was left with a relatively smooth two-coater. I have seen it look great in pics from other bloggers, so I'd love to hear from anyone who was able to get this one to work well for them matte. d'Orsay should remind me of, you know, French stuff... but instead I am reminded of the desert, cacti, the hot sun and adobe houses. Sorry, I'm from the desert and this clay peachy pink just screams home to me. I love it! 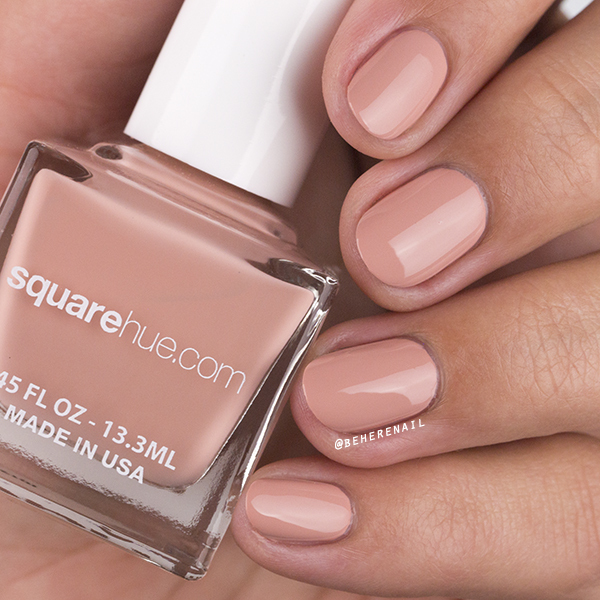 Another fantastic two-coater with the usual Square Hue awesomeness when it comes to formula! 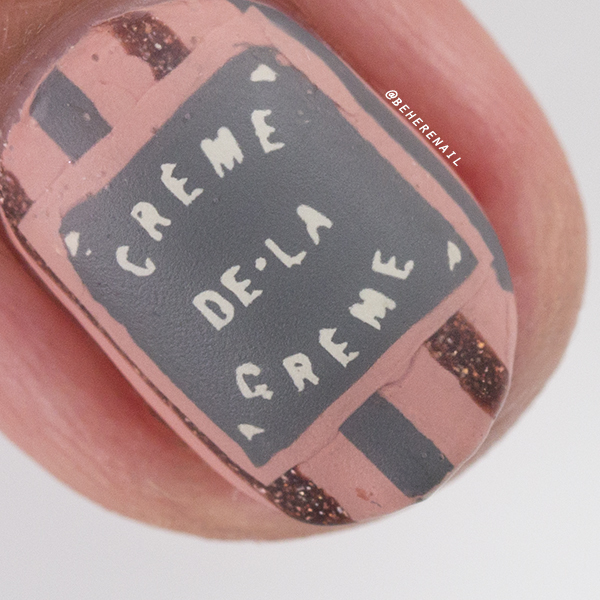 The colors in this collection worked together beautifully, and I came up with this ice cream shop/chalkboard sign inspired look using vinyls on my mat. 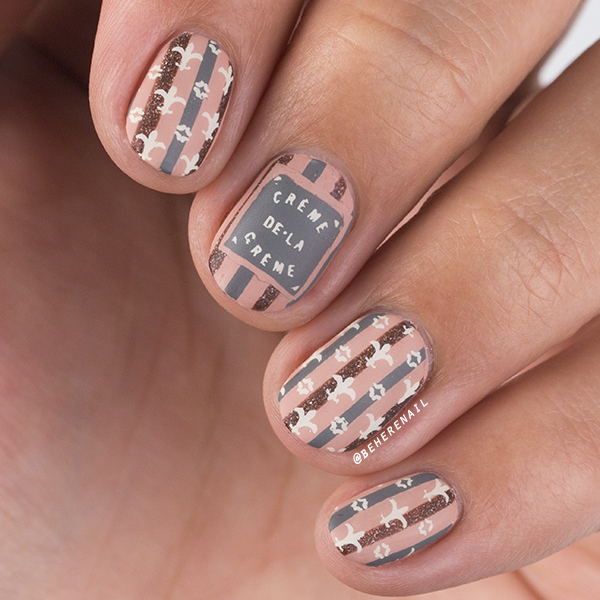 I just layered the decals on with some top coat, then stamped with Mundo de Uñas Bones and images from MoYou London and ÜberChic Beauty. I miss the holo sparkle from Pompidou with the matte finish, but I can't deny that I think it looks pretty cute with this design. I hope you guys think so too! I have more exciting stuff to share coming up this week, so I'll see you all of you lovelies soon. Oh and if you've been thinking about subscribing to get your own SquareHue box, you can use my code BEHERE10 to save a bit of cash! Until next time!